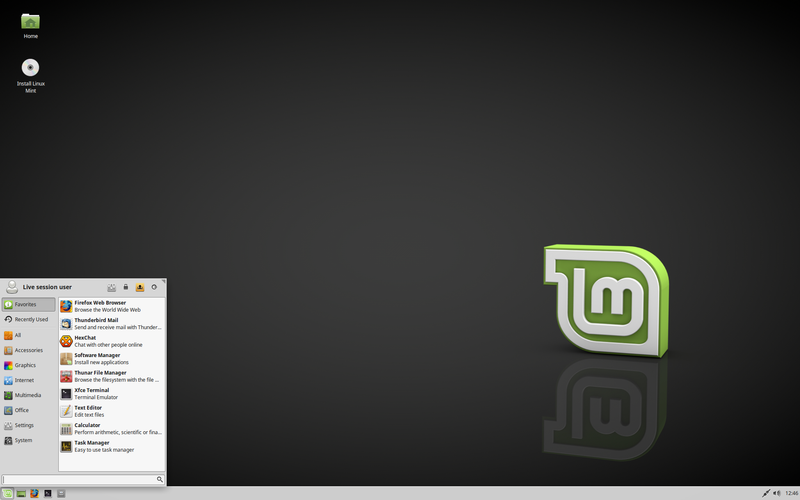 The team is proud to announce the release of Linux Mint 18.3 “Sylvia” Xfce Edition. “What’s new in Linux Mint 18.3 Xfce“. 1GB RAM (2GB recommended for a comfortable usage). If you are running the BETA, simply use the Update Manager to apply the available updates. 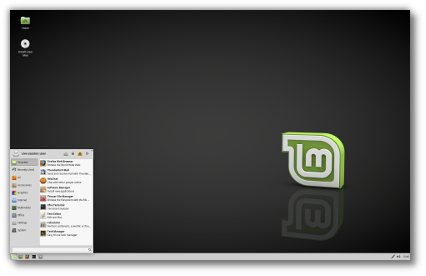 To upgrade from Linux Mint 18, 18.1 or 18.2, read “How to Upgrade to Linux Mint 18.3“. We look forward to receiving your feedback. Thank you for using Linux Mint and have a lot of fun with this new release! Next Next post: Linux Mint 18.3 “Sylvia” KDE released! Well… I had some plans for this morning, but now I’ll upgrade. We’ll open up the upgrade paths very soon. Edit: The paths are now open: https://blog.linuxmint.com/?p=3462. Does the Xfce edition provide the same experience as the Cinnamon edition but tailored for older machines or does it have some fundamental differences? I have an Ubuntu Studio partition which uses Xfce by default, and my daily driver partition is Mint 18.3 Cinnamon. If I wanted to, I could set them up to have almost the same exact look and feel. The main difference is with Xfce, the right-click desktop menu is more robust and configurable. (I have loved right-click desktop menus since the days of OS/2). Cinnamon doesn’t let you configure this menu. But if you don’t care, the Menu buttons on the taskbar work the same way in both. I like Cinnamon’s Nemo file manager because of it’s better searchability and the fact that when you have it in “Details” mode, when you enlarge the view, the font and icons both get larger. In Xfce’s Thunar, the icons get bigger but the text stays the same. As someone with increasingly crappy vision, being able to enlarge the file manager text on the fly is very desirable. I love them both and I honestly can’t pick a favorite. Xfce is supposedly “lighter” but unless you’re trying to rescue a really old box, Cinnamon runs pretty much just as fast. They are different experiences, each with its particular pros and cons. You’ll have to do some research about this. Some key points: Both desktop environments follow the traditional Windows-like experience of applications button, notification area, etc. Both are based on the GTK+ libraries, although Xfce currently has a hybrid GTK 2 & 3 mix (which I believe is expected to go full GTK 3 in the next Xfce release – but that won’t be in Linux Mint 18.3). Xfce is definitely the less resource-intensive of the two, which is handy on new as well as old systems. In my experience Xfce is better than Cinnamon if you are keyboard-oriented, and I find it to be more easily customizable (maybe that’s a personal issue). On the other hand, Cinnamon gives you a more visually pleasing experience straight out of the box – no tweaking necessary. There is no fundamental differences between Xfce and Cinnamon – both are Linux Mint, both are great! Unless changed, Mint has maintained that, of the three,–Cinnamon, Mate, and Xfce–Xfce is the most stable. Re version 17, Mint 17.3 Xfce was THE best Linux distribution of ALL Linux distributions of 2016. Not NEAR enough data on Version 18.3 for a determination. Well… I was expecting at least 30 minutes in the upgrade process, but I think it didn’t took even 5 minutes. Thank you for a very easy upgrade path. I’m very excited with the new Software Manager, I really noted the speed to open it. Thank you again to the Linux Mint team for creating the most complete and easy to use linux distribution. How can I enable System Reports and Information Reports after upgrade from 18.2? Update went well except that Update Manager wouldn’t stop notifying until I selected everything on screen. I will do an installation this weekend. After the update, the login window preferences is still the same as version 18.1. How can I get the last version? Are you running MDM? The new one is lightdm-settings and it uses lightdm and slick-greeter. If you’re planning to switch to it, make sure to make a timeshift snapshot first, then install lightdm, lightdm-settings and slick-greeter, and remove mdm. If something goes wrong reinstall lightdm again (or use timeshift to recover.. you can recover with timeshift from the live USB too if you made a snapshot before). You might also want to replace xscreensaver with light-locker. great job again ! all the bugs i reported has been removed from this final release. All work fine on my laptop except the nvidia driver who freeze the system when i try to set it in economy mode… maybe in a future update. you guys are awesome. Well done, the 18.3 upgrade only took a few minutes….. nothing broken, But I do want to get the ‘tick’ back on Update Manager, have reverted back to default level 2 policy and I restored default software sources but still no luck! … in quite a lot of cases the new 4.10 kernel cannot boot or not compatible – try to install mint 18.2 or 18.1 and upgrade to 18.3 (but don’t install kernel 4.10 in this case). * And another thing: in ‘Fonts’ -> ‘Text scaling factor’, my setting is 1.4; which means that the text in the sidebar (F9) of Nemo is partially hidden and I have to resize the sidebar constantly. It could be great to have an option in the ‘Preferences’ to “remember” the size of the sidebar. Another seem less upgrade and the new applications (Redshift, Timeshiift, Software Manager) that just work. Software development that sets the standard. Very well done all. Thanks heaps. This is the best version yet of Linux Mint 18.3. Cinnamon is an outstanding, industry leading desktop, but Xfce is perfect for weaker systems, and runs even faster on stronger ones. I have noticed that of the four DEs Mint offers, each is the best implementation of that DE the creators could hope for. Is it necessary to install the new kernel and this replaces the old one?? I have an upgrade level for the average user and a blue color indicates updates in bottom right corner, but inside the update manager nothing is selected for install. Nvidia settings are lost each reboot. xorg.conf is renamed as a backup and leaves no usable file. Please remove Evowise CDN mirror, because it is unreliable. It automatically cuts off connection if your download takes more than 30 mins. I’ve tried to download twice and it always cut off past 1gb. It also doesn’t allow the downloads to be resumed. Heads up. After update, Suspend no longer works. I just get a black screen and no response. Have to do a Hard reset. Not a deal breaker but annoying. I had something similar happen to me recently with Mint Cinnamon. I don’t know which update caused Suspend to break, but I solved it by updating the firmware for my motherboard. This was very simple – see your motherboard’s web-page for details. The next day, I also applied the “CPU micro-code” patch that Mint supplies (find that in “Settings”->”Driver Manager”, but it depends on your machine if it is listed or not). I don’t know if both changes were needed, as I applied them close-together and didn’t test rigorously after the first. However, Suspend now works as before. This may help you. I had forgotten that I had returned to an earlier kernel (4.10.0-33). Thinking my system more stable, with the BIOS & micro-code updates, I went back to the latest 4.10.0 kernel (4.10.0.42) and the Suspend function became unreliable again. Now I am using the latest kernel available at this moment (4.13.0-21) and Suspend (I hope) is functioning perfectly after more than 12 uses over a few days. This information may help someone, I hope. I have had a similar problem a few months ago: my BIOS now does not let me change anything in the configuration. I had Linux Mint 17.2 XFCE installed. My laptop model is HP-250-G3. The last kernel that I used before I realized the problem is 4.14, I think. I do not know if it is related or if it has the same origin. I do not know if it’s the right place to report, but I write it here in case it’s any good. I can’t believe upgrade from 18.2 to 18.3 was that much easy. Everything is just working perfect without doing anything else. Thanks a lot for all that good work guys. I will be returning to 17.3. Agree with RobertService. It’s getting a little bloated and Xapps…pointless forks of forks of forks. 16.04 base is much more buggy than the old one…still. About new software manager. While I like almost everything plus flatpack support, there is one thing that I miss dearly. If I install Linux to someone I always use Mint. They usually have kids and I need to install games. I miss option that I can sort apps by their popularity! I don’t know Linux games. Next time I will need to set up new Mint installation for someone, I will need to spend days clicking on every game, look at rating, reviews… to decide which one to install and which one not to. What a bummer! Will sorting apps by popularity and vote be implemented any time in the future? They’re sorted by popularity already. Is there is something wrong with Software Manager? Just last night I update to 18.3 from 18.2, but each software, even small ones like dungeon crawl games, need about 2GB to download??? My update manager never shows a check mark any longer and i havent had a new update available since i moved to 18.3. Hi there, just wanted to try out timeshift, but it doesn’t list my raid devices, so I’m unable to use it. Also the naming conventions aren’t ideal. Could it be made to use the device names that I have chosen instead of the hard drive numbers? One quirk: when I run it from the command line, I can’t see an option to start it in GUI mode. Where’s the audio volume control? No such thing though software visable installed with Software Manager. Also, no hardware control anyhow (pressing the keys on the keyboards yields in none result). A minor missing item? Only controllable from within the applications? Mint 18.3 xfce on Asus PEM1015 fresh install. A clue how or future update would suffice. It seems the controls were accedentally lost during configuring/tuning the os on the machine; in my VMware test version it is present. But on the asus there’s no possiblility to retrieve the controls anymore. Ends up in a reinstall, which is simply idiot for this reason. Switching back to 17.3x or U 16.x/14.x if neccessary. Is it possible to make a linux mint edition based on arch linux? 18.3 Got me some of that. Since updating from Linux Mint 18.2 XFCE to 18.3 XFCE my clock is off by 1 hour after every reboot. I can change it using Time and Date settings but it will be back to 1 hour off after the next reboot. I have it set the correct time zone and “Keep synchronized with Internet servers”. The computer has dual boot with Windows 7 but I haven’t booted Windows recently.